Magnetic, chaotic, and teeming with life, Hyderabad – the capital of Telangana state in South India, and home to seven million people – remains a mystery to many foreign visitors. Often overshadowed by popular tourist destinations like Mumbai and Delhi, this thriving city takes many first-timers pleasantly by surprise. 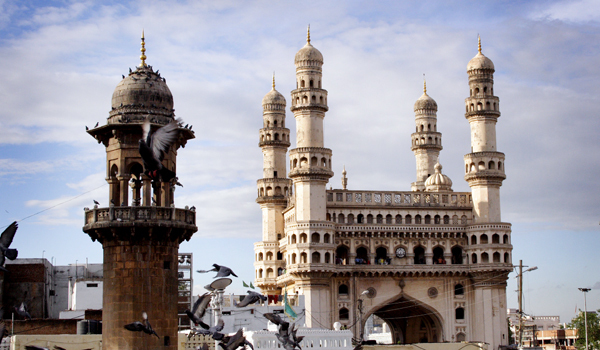 Between its stunning Old Town and its thoroughly 21st century Hi-Tech City, Hyderabad is a thrilling hub of diversity. If you haven’t yet uncovered all that it has to offer, we’ve picked ten of our favourite things to do in Hyderabad. From its ancient tombs and historic fort to its luxurious hotels – and its signature biryani – here’s what you shouldn’t dare miss. 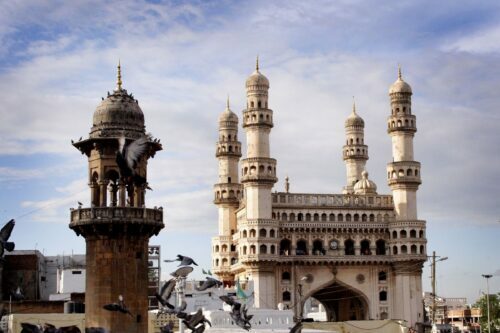 A reminder of the city’s Qutb Shah legacy – one of two Muslim royal houses that once called Hyderabad home – the Charminar is one of the city’s most recognised landmarks. Dating all the way back to 1591, the monument and mosque is distinctive for its four soaring minarets. The terrain surrounding Hyderabad has long been famous for its diamond mines – the Hope Diamond is one of the most famous specimens to have been found in the area – and as such the city has a certain jewelled opulence about it. One of the best places to connect with its gilded past is the Chowmahalla Palace, an 18th and 19th century destination known for its magnificent courtyards (and crystal chandeliers). One of the top things to do in Hyderabad? 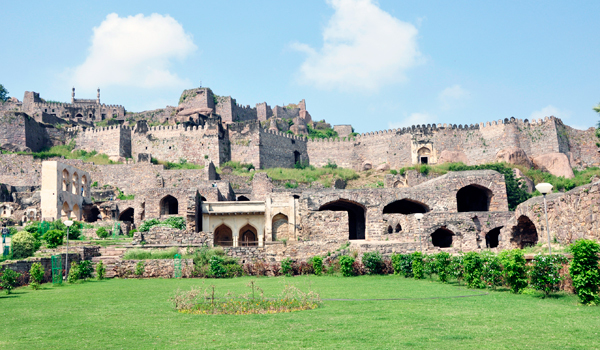 A daylong trip to the sprawling Golkonda Fort. Once the capital of the Qutb Shahi dynasty during the medieval era, and situated just west of the city centre, the fort complex is one of India’s prevailing architectural treasures. Located close to the Golkonda Fort, the Qutb Shahi Tombs serve as the final resting places for rulers of the medieval dynasty. The distinctively domed tombs (21 in total) are something to admire, as are the pretty gardens they’re housed in. Given the city’s royal pedigree, it’s only fitting to stay in a hotel of palatial proportions. 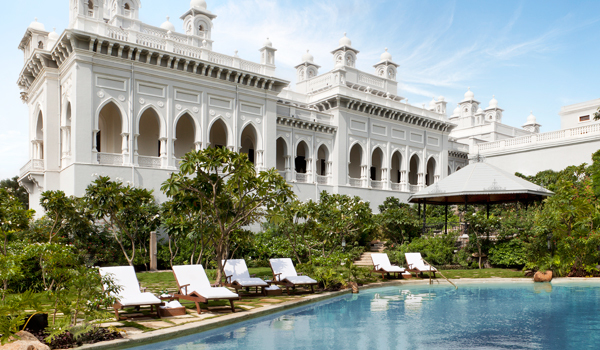 Enter the Taj Falaknuma Palace, a five-star stay that occupies the restored, 19th century residence of the Nizam (a local monarch). Today, it offers all kinds of temptations, from its luxurious Jiva Spa to its fine-dining restaurants. Hyderabad’s bangle market is still one of its most famous shopping destinations (and has been since its founding during the Qutb Shahi era). Today, visitors pick up stacks of glittering bangles, as well as saris, fabrics, and other items of jewellery. 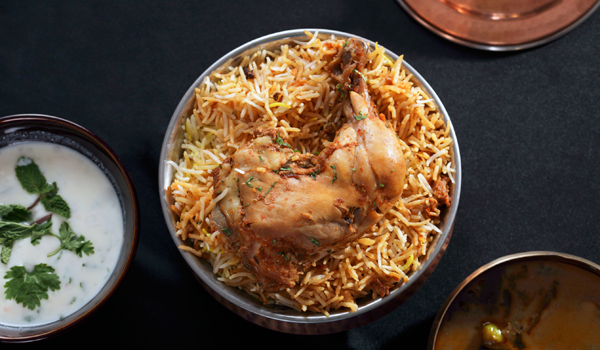 Ask locals about the best things to do in Hyderabad, and they’ll undoubtedly encourage you to sample biryani, one of the city’s signatures. One of the top places to try it is the beloved Paradise, a Hyderbad institution dating back to 1953. They serve seven iterations of the dish here, all fragrant and beautifully prepared. Not all of Hyderabad’s cultural destinations date from centuries ago. For an experience of the city’s contemporary art scene, drop by Lamakaan, an open cultural centre that hosts music and theatrical performances, debates and literary talks, as well as other inclusive events. 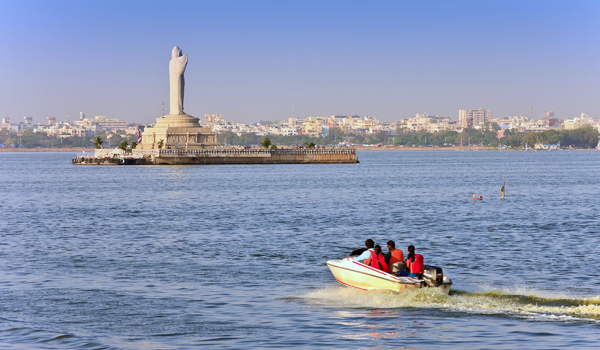 Though Hyderabad’s population is largely split between Muslim and Hindu residents, the city’s Buddhist community is well represented by this soaring statue, cast out in the middle of the heart-shaped Hussain Sagar Lake. The tallest monolith of Gautama Buddha in the world, it can be accessed via frequent boat tours. One of the three National Museums of India, the Salarjung Museum also happens to be one of the largest art museums in the world. Sourced from the private collection of the eponymous family, its exhibitions feature sculptures, paintings, and other artefacts sourced from across the globe.